Tommy Lee and his son Brandon Lee have always had a difficult relationship, but the pair’s strife was never more apparent than on Sunday on Father’s Day. Tommy used this year’s Father’s Day to get real about the realities of fatherhood and how difficult it is to raise kids and be the perfect dad. He shared a photo with his own dad and used the caption to explain how he hasn’t done everything right through the years with his boys. 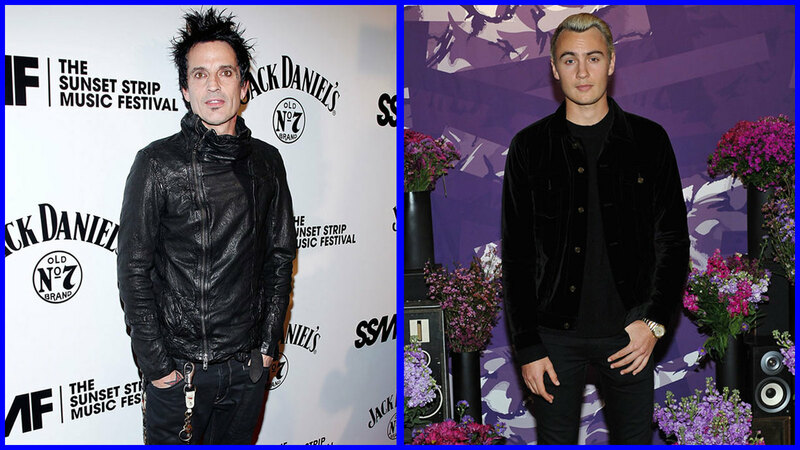 Tommy has two sons with his ex Pamela Anderson, Dylan Lee and Brandon Lee. “I’m not gonna sit here and post some fluffed up bulls—t for the public to read…. I’m gonna be honest- Being a father ain’t easy! I’m so tired of the fake s—t I keep seeing all over IG… let’s get real: It’s a rollercoaster ok? My father taught me to respect everyone and everything and to take care of those that I loved. He taught me to appreciate my possessions, and to be grateful for the things I was given,” Tommy began. “I’ve F—ked up at times but I’ve always bounced back. When I had a child, my first child, I wanted to instill those same virtues into him. Sometimes I feel like I failed as a father, because my kids don’t know the value of things. If they break something, they don’t care because they know they’ll just get a new one, if they hurt someone, they don’t care because so many people tell them it’s OK. I never wanted this for my kids,” he continued. “I know I’m not fully to blame, because their mom has a lot to do with it, enabling bad behavior and buying them things when they weren’t good, but I guess I hoped at the end of the day they would end up kind. I love them dearly, don’t get me wrong, but man, sometimes it’s really tough to watch your kids grow up without those morals. Nothing can really prepare you for fatherhood …. I love my boys but they can be a—holes too…and that’s the truth (Cue Honest Guy music),” the Motley Crue rocker concluded. Brandon and Tommy got in a fight in March. It reportedly ended with Tommy knocked out and Brandon explaining that he’d acted in self defense because his father was reportedly drunk. Brandon seems to be referencing the night in March where he punched his dad. In addition, he posted a video — seemingly of that night – where Tommy is passed out on the floor in his underwear. It looks like this Father’s Day wasn’t the greatest in the Lee household.